I was born in 1939 and not as was in the record there (with Brett); it was 1930. That’s not correct. [Dawn]: Did I write ’30? It was ‘30 instead of ‘39, at least Mom [Marcia] speaks of that. I was born in Newton Wellesley Hospital in Newton, Massachusetts, where also Tad, my brother two-and-a-half years older than myself, was born. We grew up, part of our lives, in a place called Newton Highlands. That was outstanding, as far as I was concerned. I never remembered that from earlier time. But they took my brother Tad’s footprint and put it in the cement out in front of the house. That stayed around for years. I don’t remember whether we saw it or not, but I think we did. [Other Voices]: We saw it. When we passed by [in 1983, there was] his footprint in the cement. I seem to recall a photo of that family reunion visit that showed the footprint and Tad’s bare grown-up foot. Does anyone have it to donate to the story’s cause? Aunt Lee, Aunt Betty: do you remember living in Newton Highlands when Steve and Tad were born? Can you tell the stories of their births? Do you recall Tad making a footprint in the cement? Can you tell us how that came about? What year do you suppose that was? How old was Tad? What was the exact address of the house on Hartford Street where this took place? This entry was posted in Steve, Tad and tagged 1937, 1939, Newton Highlands on January 21, 2015 by Dawn Duncan Harrell. [Barb]: That island you talked about must have been off the coast of Connecticut. [Barb]: Did you go on vacations every year? [Virginia]: Yes, I would say we did, but most always we went to Kentucky. [Wally]: We went to Kentucky often and then we spent two or three years on Lake Winnisquam, which is the lake on which Laconia, New Hampshire is located. And we were right directly across the lake from Laconia. So our landlord J. Comer Jones, who owned our house back in Newton Highlands, also owned a summer cottage and he allowed us, what for a month at a time? [Virginia]: A month at a time. [Wally]: To rent the summer cottage. So Mum would go up and Dad would come up on weekends. Right? [Wally]: Yeah. For two different summers, I believe, I was up there and then I went to camp, which must have been when I was eleven [b. May 9, 1929, so this would have been summer 1940], I think, when I went to camp. Then I never went back even though you went back at least one additional year. I never did go back. [Virginia]: I would go back. If Daddy would have come, I would have gone back all the time. He was not one to go on vacation. [Wally]: He never stayed. He would go for a couple of days and then come home. [Virginia]: Yeah. He’d want to go right back to Boston and work. He was a workaholic if ever there was one. He really was. [Wally]: Yeah. There was another family who took care of him. [Barb]: I don’t know about that. Grandma remembers lots of vacations to Kentucky. 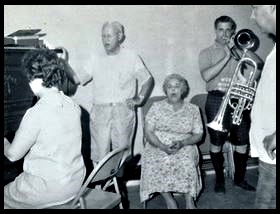 Lee, Betty, Dad, what do you remember of these visits? Did you drive? What car was it? Where in Kentucky did you go? Who were you visiting? How did you feel? How did Mother Virginia and Dad Taylor seem to feel? Grandma references her aunt. About whom do you suppose she is speaking? Have you got stories about this person? Photos to share? 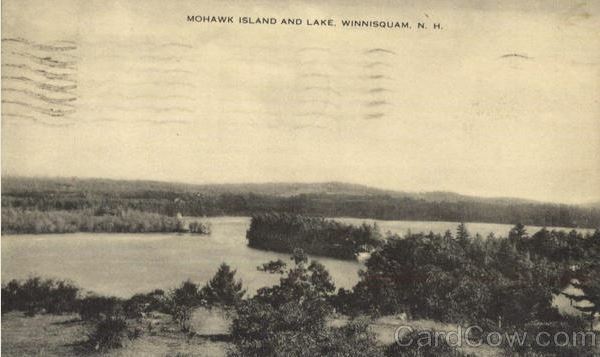 By Wally’s estimation, visits to Lake Winnisquam would have taken place in the summers of 1938, 1939, 1940 and 1941. Lee, Betty, Dad, do you remember these months on the lake in New Hampshire? What do you recall? J. Comer Jones was a power and pump company in Boston, probably named after a person. How did the family come to be renting from him/the company? Does anyone have photos of Kentucky or Lake Winnisquam to share? This entry was posted in Betty, Bob, Lee, Steve, Tad, Taylor, Virginia, Wally and tagged Barbara Duncan, Connecticut, Cos Cob, J. Comer Jones Power and Pump Co, Lake Winnisquam, New Hampshire, Newton Highlands on September 11, 2013 by Dawn Duncan Harrell.